Research conducted at the Vitamin C Foundation has revealed the reason Insulin-dependent diabetics should take their vitamin C in the form of truly-encapsulated liposomal vitamin C.
Experiments show that the vitamin C encapsulated in liposomes is immediately absorbed by cells, without insulin present. In contrast, an intravenous infusion of vitamin C administered to a Type I diabetic creates a residual supply of vitamin C in the interstitial fluids. The IV/C is not absorbed and the vitamin persists in the body fluids for hours. Continuous Glucose Monitoring (CGM) meters that do react to high levels of vitamin C, do not react to liposomal vitamin C. We surmise that the reason is because the encapsulated vitamin C is absorbed quickly and leaves no residues in the fluids to measure. Diabetes expert Richard Bernstein, is the world’s oldest living diabetic. Author of the Diabetes Solution, Bernstein was one of the first individuals to obtain a glucose monitor. He is a self-taught expert on glucose control and later became a medical doctor. He was able to cure almost all his ailments related to high blood sugars by strictly controlling his own blood sugar to 83 mg/dl. The Vitamin C Foundation began measuring vitamin C in the blood in 2015 using an Abbott Laboratories FreeStyle Lite glucose meter. The unexpected early response in the venous blood was surprising. The measurements were taken from the blood of an insulin-dependent diabetic. The finger-prick blood readings reached 207 mg/dl after a 10 gram intravenous vitamin C. The highest response was orally for the ascorbic acid form of vitamin C (Levels were measured at 305 mg/dl as early as minute 3). The Foundation attempted to measure 10 grams of liposomal vitamin C taken orally, but failed in 2015. The meters did not report any elevation in glucose/vitamin C. At least part of the problem is that approximately 2 hours are required for the encapsulated vitamin to appear in the blood stream, and our experiments were too short. Our recent 2018 experiments are using an Abbott Laboratories FreeStyle Libre Continuous Glucose Monitor, which is also sensitive to vitamin C. This meter is different from the finger-prick meter because it measures glucose/vitamin C in the interstitial fluids that surround our cells, not the blood as in our previous experiments. Our first experiment was to replicate the 10 gram vitamin C IV (finger prick). 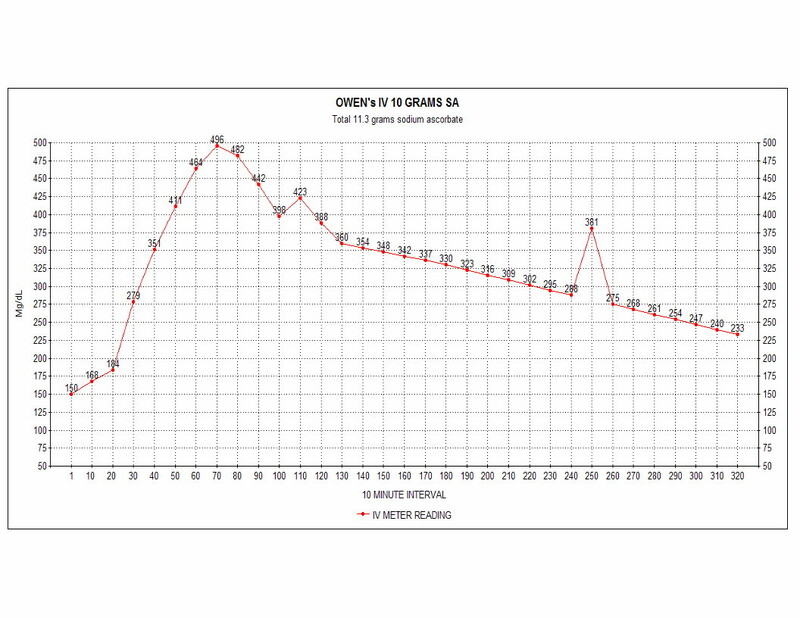 The results of the Libre CGM are in the following figure. Note that much higher “glucose” levels were measured in the interstitial fluids than after the blood measurements of the same amount of vitamin C intravenously, e.g., 500 (+350) versus 210 (+80). The next experiment was to gulp 10 grams of Vitamin C Foundation Approved ® PANACEA liposomal vitamin C encapsulated in 150 nanometer liposomes by mouth. 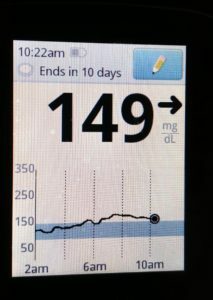 The FreeStyle Libre CGM monitored the body fluids. We expected a strong, perhaps delayed response. The research team was initially disappointed. As in the 2015 blood measurements, there was little response. From the previous calibration experiments, and from discussions with experts, we think we know that the meter can detect Vitamin C encapsulated in a liposome. Hoping for a “better” result, the 10 gram liposomal vitamin C experiment was run for a second time. The duration was longer – 8 hours. No insulin, food, etc. could be taken. The team was expecting to see more vitamin C entering the fluid, from the blood stream. Then came the Eureka moment: The liposomal vitamin C was being measured – but the amounts were so low because the vitamin was only in the fluids for a short time before being absorbed by the cells! There is evidence that the true-liposomal form of administration can be many times as effective clinically, gram for gram, as an intravenous vitamin C for infection. Barring another explanation, and if our preliminary data and interpretation is correct, these experiments show that lipsomes provide vitamin C rapid entry into cells — without insulin. This finding has profound implications for insulin-dependent diabetics. The vitamin C molecule is similar to glucose. Human beings are missing an enzyme that would otherwise allow our livers to create vitamin C by converting glucose. This conversion is accomplished by virtually every other species on Earth which can make their own vitamin C . Humans are almost alone in requiring vitamin C in our diets. It is known that many cells only accept vitamin C through the cellular membrane using insulin-mediated transport through shared glucose (GLUT) receptors. The findings reported here indicate that highly encapsulated liposomal vitamin C is not restricted by the lack of insulin, and insulin-mediated transport is not required for the vitamin to gain entry. One possible explanation for this observation is that the liposomes merge with the lipid membranes, dropping their vitamin C payloads into the cells. Perhaps as important, for Type I diabetics worried about false positive glucose readings, there will be far less of a concern about false readings if they are taking a fully encapsulated liposomal. Even large amounts of true-liposomal Vitamin C will have a negligible affect their glucose readings! 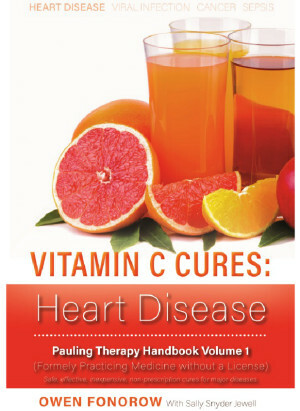 The author has been taking very high dosages of vitamin C since 1986. After an accident that damaged my pancreas, I had part of my pancreas removed in 2010, and became insulin dependent in 2014. Over the years I have relied on vitamin C powders. These experiments have convinced me that because of my dependence on insulin, a large percentage of my own vitamin C should be True-liposomal.